Dr. Penny Sartori is a front line near-death experience researcher. Her conclusion — it’s about light and love… well mostly. (Movie clip from Ted2… Nurse calls out ) Code Blue – Room 134. There’s nothing quite like Seth MacFarlane in a teddy bear costume, I never could bring myself to watch those Ted movies, but it’s an interesting cultural overlay on this topic of near-death experience, because one of the questions is, to what extent is this over-the-top fear of death we have a product of our medical establishment and our media? And to what extent does near-death experience science relieve that fear of death, and lessen the grief associated with death? As we’ve talked about before research suggests, it clearly does… in fact, it seems to be overwhelmingly better than any other treatment we know of… but to what extent is medicine responsible for perpetuating [fueling fear of death as opposed to reflecting what we already feel, believe and have been culturally instilled with? So, that’s one of the topics we talk about today with Dr. Sartori. We also talk about this “light and love” thing, which I think is so interesting and is the focus of her latest book. Of course, the “light and love” NDE coincides with the data. If you look at Dr. Jeff Long, he’s collected the data and it’s certainly about light and love 80% to 90% of the time. But, what about those other times? What about the hellish near-death experiences? What about the black void that some people face and fear so greatly? So, those a couple of things we talk about. We also talk about the connection between near-death experience and other transformative experiences. Very, very interesting stuff from just a terrific guest, who really does have a great new book. I hope you check out The Transformative Power of Neath-Death Experiences. 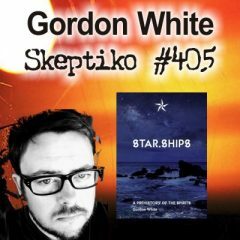 My interview with Dr. Penny Sartori is coming up next on Skeptiko. 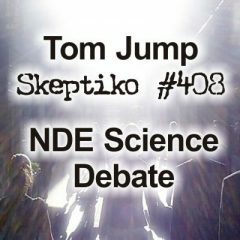 Alex Tsakiris: Today we welcome NDE researcher and author Dr. Penny Sartori to Skeptiko. 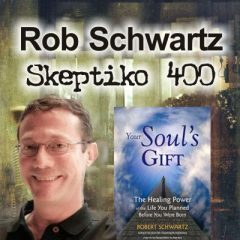 Dr. Sartori has, along with Kelly Walsh, who you’ll hear about in a minute, they have written a new book, titled, here it is if you’re watching this video, The Transformative Power of Near-Death Experiences: How the Messages of NDEs Can Positively Impact the World, and she’s here to talk about that. So, Penny, welcome to Skeptiko. You’ve been on one time before, but I didn’t have the pleasure of talking to you directly, I think, that time. So, thanks so much for joining me. Penny Sartori: You’re welcome. Hi Alex, really nice to be here. Alex Tsakiris: Well, it’s nice to have you on, and this new book is, like I was saying, it really is terrific. We have a lot to talk about. This book is very inspirational, the stories are fascinating, and I know you’re very humble about your contributions, [unclear 00:03:53], your writing partner Kelly Walsh, but I think you bring so much to this work, and in particularly, for me and for Skeptiko, because we are always interested in being grounded in the science of these things. I think, that’s really so much about what you do and who you are, because you are a scientist, you’re a PhD, you have this interesting balance. Tell people about your background, who don’t know you, and then a little bit about how your background relates directly to this really terrific book. Penny Sartori: Well, I used to work as a nurse and I was in intensive care for 17 years, and because of the nature of my job I saw death on a daily basis. It was one nightshift in particular, I was looking after a dying patient and he had a really unpleasant death, and it really, very much upset me. It’s something that really made me think, what happens when we die? What is death all about? At that point I hadn’t really thought a great deal about it, but it upset me so much, it just set me on this, kind of, path really, to learn about death and the more I read about death, the more interested I became. Then, someone gave me a book, and it was Betty Eadie’s called, Embraced by the Light. I can remember reading that and I was thinking, “Wow, this just seems such an amazing thing. What if this is real?” Because of my nursing background, I was really quite skeptical at first and I thought, it’s got to be some sort of hallucination or maybe it’s the way that the brain is dying down. But, the more I read about these, the more inspired I became to read more, and I was just fascinated, and I thought, “Well, I’m working in intensive care, maybe I could do my own study?” And that’s what I did, and that all, kind of, came about and I had Professor Paul Badham and Dr. Peter Fenwick, they’re both experts in the field of near-death experiences. It was just a wonderful thing to be able to connect with patients and find out what it is that they recalled from the time that they were unconscious, because it’s something I’d never taken the time to ask about before. Can you just go over, in broad strokes, the study that you did about people’s recollection of their resuscitation and how the control group was set up and how that was basically done? Penny Sartori: Okay. So, what I did was, over the period of five years, I interviewed, for the first year, I interviewed every single patient who survived their admission to the intensive care unit. I wanted to make sure that I didn’t miss any patients, and what I found at the end of the first year was that, I was actually spending longer in the hospital than I was at home, so I couldn’t sustain that for the following four years. So, what I did then was, I narrowed down the group I was interviewing. So, I only approached patients who had undergone cardiac arrest and survived, and although this sample was a little smaller than the first year, what I found was that, out of 39 patients who had been successfully resuscitated, 7 of them recalled a near-death experience. That’s nearly 18% of patients who survived cardiac arrest had this kind of experience. What I also did was, I documented their blood results at the time, I looked at the drugs that were given and I also interviewed the staff members who were looking after the patients. So, the nurses and the doctors, I asked them, if the patients reported the out of body component, I would then try and verify what it was that they described, and I would verify that with the nurses and the doctors who were looking after them. With the control group, I had then patients who’d been successfully resuscitated, but they didn’t have a near-death experience, or they didn’t have the out of body component, and I asked them if they could describe what they thought we had done to them. Alex Tsakiris: They were like, “What do you mean? I was dead. I don’t remember anything,” right? Penny Sartori: Exactly, that’s right, and they were saying, “Why are you asking me this? I have no idea what you did to me at all.” The majority of them couldn’t even guess, they couldn’t make a guess as to what we’d one. Then, a few of them did make a guess and it was based on TV hospital dramas, that they’d been watching. What I found was that there were areas and misconceptions in what they thought we had done to them. Some of them thought that they had been DC shocked, with the paddles, and they hadn’t, those people had just had the resuscitation, the CPR and drugs administered, so just adrenalin or noradrenalin. Then some of them made educated guesses, but the place where they thought that we’d put the paddles onto their body, was completely erroneous, it was wrong, it was incorrect. Alex Tsakiris: Data, data, data. This is great stuff. Penny Sartori: Yeah. So, it just goes to show that the people who did report the near-death experience, described their experience with accuracy, whereas the control group weren’t accurate, and most of them couldn’t even hazard a guess. So, it just makes you think. Alex Tsakiris: Well, it does more than make you think, right? Because again, to me, the great thing about it is, in this ongoing debate, which I guess we have to talk about as well, but in this ongoing debate among people who claim to have some scientific agenda that makes them diametrically opposed to this science, which doesn’t make any sense, but the claim has always been, you can’t prove it, there’s no scientific evidence of it, and this, what you’ve done, and continue to do, directly flies in the face of that. But, I want to return to really talking about the book, the new book, The Transformative Power of Near-Death Experiences, because in the conclusion to that book, you write that your main purpose was to further this public understanding of, and awareness of the near-death experience, and I guess my first thought was, “Wow, are we still there? We’re still, NDEs are real, kind of thing. Haven’t we got passed that?” But then I guess, the more I read, and in particular, your, kind of, fiery pushback against the medical community and some of the problems that it has in, really wrapping itself around some of these ideas, I was like, “Yeah, that’s work that does need to continue to go on.” Do you want to speak to that a little bit? Penny Sartori: Yeah. One of the things that I find is that, still, people are not educated about near-death experiences and what they are. So, you know, when someone has a near-death experience, they wake up in the intensive care unit and they’re like, “Wow, what’s just happened to me?” and very often they’re afraid to talk about it, or they’re afraid to share it. I think what would be really, really important, is that if nurses and doctors were trained to recognize if a patient has an experience, or to gently say to them, “When you were unconscious, you might have had something unusual happening,” so it gives them that option to discuss what they’ve experienced as well, because a lot of people have this psychological turmoil if they’re unable to understand their experience or integrate it into their life. So, it’s crucial, that on their recovery or when they regain consciousness, that there is that supportive environment in which they can share their experience and try to make sense of it. Now, all the nurses and doctors have to do at that point, is to validate that they’ve had an experience that other patients have reported and then, further down the line, they could refer them to further resources, such as online groups or internet sources or books or whatever it is that can help that person. Alex Tsakiris: But Penny, all that sounds well and good, until you really look at some of these experiences and what it does. In this book, in one of the early chapters, your co-author Kelly tells, very openly, about her near-death experience, but she also tells about this spiritual transformation that she undergoes in the hospital, and for those who haven’t read it, she wakes up and she is singing, singing these Christian kinds of things. It would be almost impossible to accept or expect a medical staff to embrace them, the way that she did, the way that she was, I mean, they were very accepting, but I mean, wow, that’s almost too much to ask, and they did sedate her a little bit, which you can understand why. So, it’s tricky, isn’t it? Because it’s really easy to say, “Oh, you know, the medical staff should be supportive and shouldn’t be completely ready to send someone to the loony bin when they say they saw God,” but, on the other hand, some of these experiences that people have are really, really strange. Penny Sartori: Yeah, they are, like Kelly’s, and as she said, she was trying to escape the ward, she was naked, she was trying to get off the ward. She thought that was it, there was nothing wrong with her now, she was fine, and she was saying that she’d been talking to God and the angels, and for someone who has absolutely no knowledge of these spiritually transformative experiences, that can make them appear as if they are mentally unstable. So, I think it’s important that healthcare workers are trained to recognize the possibility that these patients can be in, at the beginning or the acute phase of a spiritually transformative experience, so that then, further down the line, there is more support that can be put into place for these patients as well. I think it’s so important. Alex Tsakiris: One of the things I wanted to talk about, and it’s, kind of, a touchy subject, but I think you’re the perfect person to really, kind of, put some of this out there and really mull it over. This book is extremely positive, it’s about positivity. Kelly is about, that’s her brand, is positivity and it’s about light and love and that the NDE experience transforms our fear of death and helps us overcome grief. Two important findings we have, from a psychological perspective, we know those two things, and those things are very important, when you consider everything we do to treat people who have a fear of death or experience grief, and we have all sorts of medications and other things lined up for those people, and yet, here’s something that has an amazing transformative power. But, my real point was, the light and love and positivity thing, because, on one hand I’m all about that, and I’m all about, you know, one of my best teachers all along said, “The secret to the ascent is to always look up,” and I think that also, I don’t only believe that from my personal experience and from what I’ve learned, but the data leads us there too, it leads us towards light and love, being the overwhelming experience that people have, but, (it’s all but coming here), it’s not all light and love. Some people have very dark experiences, some people are broken from near-death experiences in a way. Certainly, some people have a lot of trouble integrating back into their life with their near-death experience. Then, we have the whole other aspect of it, as we were just talking about, we have a medical community that, they have an ulterior motive in the light and love thing as well. So, there’s a lot to pull apart there and I want to spend some time doing it. Let’s just start though, with your general thoughts on the light and love and positivity versus not so much. Penny Sartori: Well this light and love and the positivity, that seems to be when people are able to really integrate their experience and they have that good support to do it. Now, this isn’t something that happens overnight either, it’s a process, it can take months, it can take years in many cases. I’ve got people who have contacted me, and they have questions and ask for help with understanding their experience, and they’ll come back to me a few years later and ask more questions. There was one person who I’ve been in touch with and ten years we’ve been off and on emailing, and finally she feels that she’s in the place where she really gets it and she’s fully integrated it and has a full understanding of what’s happened to her. But, it’s not an easy thing to process, because there’s a lot of adjustments that come after a near-death experience, it’s a total change in the person’s values. So, everything changes, their ethic change, their morals change, and sometimes they change their job because they’re no longer aligned with what they were doing in their previous job, they feel like it’s not right, so they leave their job, and there’s all that angst that goes with it. There’s a high divorce rate as well. A lot of people no longer recognize their spouses, because they’ve changed that much, so it can lead to that division between them as well. So, the integration of the experience is crucial, and I think that’s where medical personnel come in, because they can really help with that if they were trained in how to deal with near-death experiences. But, then you’ve also got the really scary, distressing near-death experiences, which are so much more difficult to research, because no one wants to talk about them, and there’s not many researches want to talk about them either. I had a few of the distressing cases in my hospital research as well. I can remember talking to this one lady, she’d had a cardiac arrest and when I was interviewing her on the ward, she told me about the beginning of the experience and then she said, “I cold see the flames rising and I was looking into hell, I could feel the flames of hell,” and then she started to cry and she really, really became distressed, and it was to the point where I had to terminate that interview with her. She was begging me afterwards, she said, “Please, tell me that’s not going to happen when I die,” and the only thing I could say is that some of these experiences start off in a very distressing way, but then sometimes they can change into that pleasant experience, and that was the only thing I could say at the time, to really, kind of, help her, and it didn’t help really. I went back to see the lady about two days later and she said, “I just really can’t talk about it anymore. It’s too distressing for me.” So, I left it at that and then when I followed her up a few months later, she’d actually died as well. Now, on reflection and having had the benefit of doing this research, I think it’s possible that that lady had had a distressing near-death experience at the time that she’d had that cardiac arrest, so she was really quite terrified as well. But, of course, there’s a lot of stigma involved with the distressing kind of experiences, because a lot of people feel, “What have I done? Am I a bad person that I had this distressing experience?” It’s not that at all, even people of really good moral character, they can still have an unpleasant and distressing experience. Alex Tsakiris: But, don’t we have to be careful there, because we can’t say either way. I mean, that’s really the point, we don’t know. I also think that it also speaks to the idiosyncratic nature of these experiences and these accounts and one of the things I always find difficult in talking about this with folks is that both are true. They’re highly idiosyncratic, they just need to be tailored for you, for something that you need, but we can’t say that scientifically, all we can say is, “That seems to be it.” But, when we flip over on the other side, I guess, that doesn’t mean we can’t say some things with a certain degree of certainty. So, do you want to speak to that, to how we deal with both aspects of that? Penny Sartori: Well I sit with the positive then, because there is such a transformation in the way that they are afterwards. All of a sudden, their life isn’t just about them, at the center of their own little world, they see themselves as part of this great interconnected whole, so it’s about being of service to others and doing good for others as well and the benefits of it as well, can be far reaching. So, it’s not just about their own personal gain, it’s about how they can help others, and not only just people around them as well, they have a greater concern for the planet, and they can take a step back and look at how human behavior is affecting our lovely planet that we live on. So, they see things from a totally different perspective as well. That is something again, that is potentially measurable, because there was that study done in 1998 by Groth-Marnat & Summers, who looked at patients who survived a near-death episode. They compared the group who’d had a near-death experience with people who had survived death but didn’t have a near-death experience, and they found, their conclusions were that there were marked changes in both groups, but even more so in the group that had the near-death experiences, and they concluded that it was the near-death experience itself, that had instigated those great changes and there’s examples of people in the book of what they’re doing now. You look at Kelly, my co-author, she has such wonderful ideas for this animated character, cartoon character, Positivity Princess, and all the merchandise and things like that. What she’s doing, instead of making millions for herself, which has that great potential, what she wants to do is turn her ideas into making money to help other people, and I think that is just amazing, it’s not about her, it’s about how we can integrate and help on a global scale as well. It’s not just Kelly, there’s other examples of what people have done as a result of their experience. Like Gigi for example, in chapter 2. She struggled for a good few years, trying to come to terms with her near-death experience, and she recognized that need for support. Now, in America, you do have IANDS, the International Association of Near Death Studies, but in the UK, we don’t have that. Many years ago there was a support group, but that’s not been running for many years. So, Gigi now has set up NDE UK and that’s beginning to grow and that’s what she’s hoping now, is to grow that and it could be a hub where people can meet up, but also where therapists, who specialize in near-death experiences, can be available, so that people can be directed for further help and support. By the way, one thing I’d encourage anyone, just go to Amazon and just start reading it. You can freely look and inside and you won’t be able to stop, I mean, that is the awesome thing with these near-death experience accounts. We can tell you that they’re transformative and that they’re positive and they’re light and love and they make you feel hopeful and better and all of those things, but you just have to go and read them to get a flavor for it. Now, having said that, what comes to mind is, a couple of shows that I did with folks who had a very intense near-death experience, connected to Jesus, and that was spiritually transformative in a very Christian way, and then of course, they took it in a very dogmatic way. There was this one guy from Australia, thank god he was from Australia, he was not from the US, with the US Christian thing on him, but he runs around all of these churches around the world and then all of these other people have Christian near-death experiences, and he is very keen and very aggressive with the idea that this experience is fundamentally a Christian experience and it supports the primacy of Christianity, and my pushback was, “That’s just not what the data says. So, you can go out there and blab that all you want.” But this is where we do need science to interface with spirituality. Hey, maybe he’s right and maybe Jesus is going to shake his finger at me when I get up there, but, I look at the data, the evidence, overwhelming, it says that this cannot be pigeonholed into a specific religious experience. But again, back to the negative, here is somebody who’s very much doing that, has a lot of support from a lot of people. So, a couple of issues there to talk about. Go wherever you want to grab it. Penny Sartori: Yeah, well these experiences, they occur in every different culture and they’re interpreted according to the culture of that person. So, for example, in India, the cultural kind of experience is meeting up with Yamadutas, which are messengers of Yama, the God of the dead. Instead of the life review, they meet up with Chitragupta, the man with the book of deeds and so he looks in the book to see what they’ve done with their life as well and that is very similar to the life review. So, I think people can interpret it according to their experience. It’s almost as if they’re tapping into the collective unconscious and they’re interpreting the experience through their own cultural filter, if you like. So, the guy you were talking about, the Australian guy, if he’s been brought up in a Christian tradition, he’s interpreted it in that way as well. Alex Tsakiris: But he would say no, Penny. He’s heard all of that, and he says, “No, you don’t get it. It is about Jesus, and I spoke with Jesus and I asked Jesus about that and Jesus said, ‘No, it’s this.’” And here, I think, is the problem, in the interface with science, in that people like you, real scientists who’ve looked at that, we’ve kept you just spinning on, “Prove it. Prove it. Prove it. Prove it. Prove it,” to the extent that we haven’t been able to really look at some of these deeper questions. But there’s some real deep questions here, in terms of, back to the idiosyncratic nature of this, what does it mean that they’re so idiosyncratic? 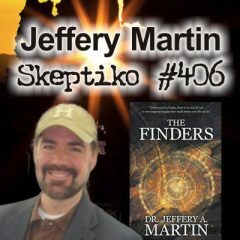 What does it mean that this guy’s experience, he’s not making it up, it is distinctly Christian in a way that, if I’m going to, kind of, defend him a little bit, he cannot get away from the fact that it is distinctly Christian, it isn’t saying, “Ah, you know, it’s Christian but it can be Hindu too.” No, it was purely Christian. Penny Sartori: That’s a really, really good point, because how do we get to the bottom of those things as well then? Because we, kind of, by focusing on just the scientific, we’re not looking at questions like that either. So, I think that is definitely something that we have to get beyond and to answer those important questions as well. Alex Tsakiris: How would we even begin to? Do you have any thoughts on what would be that next level of research that would help us probe some of those questions? Penny Sartori: I don’t know. I think, maybe, what would be great would be to have, like a universal group of researchers, from all different cultures. I think that would be so powerful, if we got people from all different cultures, to all get together and pool their resources and to share their thoughts amongst it as well, get some, sort of, real working group together, rather than people doing it in isolation as well. So, working together in unity and discussing the ideas as well, not just within that group, but also very publicly as well. Alex Tsakiris: You know Penny, a related question, I think, is you’re battling against a medical institution that has lot at stake in not giving up, not giving in to what you’re talking about, I mean, whether we like it or not, the medical institution has built this death machine and this fear of death that we have, is completely integrated into it, and without getting into who’s to blame for that or whatever, that is the nature of the game that it’s played, you know, “Death must be avoided at all costs,” and, “Oh, we fear death,” and, “Oh my gosh, your mother is going to die.” It’s in there all over the place. So, that materialistic science, I guess, I sometimes struggle with the fact that there seems to be a reality to that as well, as part of the near-death experience. So, are the death culture medicine people right, in a way? Penny Sartori: Oh, I don’t know. I think that was one of the biggest things really, that was one of my wakeup calls, because working in intensive care, you do see that death denial, totally, all the time. That patient I mentioned in the beginning, he knew he was dying, he wanted me to leave him alone, to let him die in peace, and I knew that I had to treat him because that was my job to do that, I had no choice, and the man wanted to die. After that, I became a little bit depressed, and every time I went into work, I would see patients who were dying, there was no, kind of, long-term thing for them at all, and yet, and yet we were still treating them with all of the different medications, all, everything, in an attempt to stop them from dying, and death is the most natural thing in the world, it’s going to happen to every one of us, and we just don’t think about it at all. I think, as a society, if we thought about our own mortality a bit more, and thought about what death is, then it would give us a completely different understanding of life, because that’s what it’s done for me. My research has taught me so much about life, and in fact, my research has really empowered me. When I started off on it, my friends were saying, “Penny, you must be so depressed, what a depressing and morbid subject to talk about,” when in fact, I’ve never been so empowered and felt really, I don’t know, happy if you like, as a result of learning what I’ve learned through my studying of death. 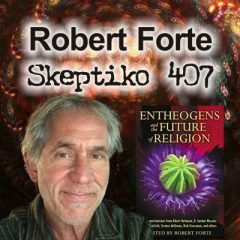 Alex Tsakiris: Well, I think removing that fear of death, which near-death experience science does for so many people, and I’m careful in using the word science there, because we know, in documented cases, that the near-death experience, that is people who have it, have this reduction in fear of death. But the real prize is that the study of near-death experience science, buying The Transformative Power of Near-Death Experiences, will reduce your fear of death and that’s a good thing, because a lot of people carry around a lot of anxiety, on a daily basis, about death, and sometimes it’s not at even at the forefront of their mind, it’s just gnawing at the back of their mind. Penny Sartori: Yeah, that’s right. It’s something I never really, kind of, thought of in depth, and when I started reading these experiences and thought, “Wow,” and I really engaged with them as well, and it’s given me a different perspective now on my own death as well. I know I’m going to die, I don’t know when and I don’t know how, but I think, you know, when it happens, I think, perhaps the anxiety I might have felt, perhaps won’t be there, because I’ve got some insight into what to expect, you know? Whether it plays out like that, I don’t know, but to be honest with you, it’s something that I’m not fearful of, I’m not fearful of actual transition itself, but perhaps more about the mode in which I die maybe, you know? But, it’s really made me consider my own mortality. Alex Tsakiris: You know Penny, we, kind of, skipped past that one question, I really want to get your thoughts on it. What about the materialistic nature of some of this stuff, the biological nature, the science, as we know it, nature? Like I said, the fact that there’s more near-death experiences as we resuscitate people, suggests that there’s a biological component. My friend Zack had a question that he sent over about, people who don’t have sight have a different near-death experience. There’s all these different aspects of our physical being that then translate into the experience, in a way that’s hard to really, totally make sense of, if it’s completely a spiritual experience. So, what do you think is going on in this interplay between the spiritual and the physical? Penny Sartori: I don’t know. I think there’s like, loads of different triggers for these experiences as well. One of them is the fact that more people are surviving a critical illness and a cardiac arrest than would have done many years ago. Our science, our technology, has all developed now and we’ve got better resuscitation techniques, we’ve got better medical equipment and things, which are all helping people to have a greater survival rate of these things. I think, more and more people are then surviving these critical illnesses and more and more people are reporting near-death experiences. But, from a wider perspective, I’ve come to think that we’re undergoing a global awakening, and I think these experiences are showing us, are waking us all up. I think, because more people are experiencing the near-death experience, more people are being aware of them. We’ve got the internet now, so it’s easier to share your experience and more and more people are taking an interest in the experiences, and I think, what we’re seeing, is that shift of an attitude, because I’ve definitely noticed that since I began my research. When I first started it, it was very difficult to find people who would share their experience, but over the years, more and more people have become to engage with me, and when my last book came out, The Wisdom of Near-Death Experiences, I was just inundated with emails and I’ve still got over 14,000 emails to reply to, because it’s a fulltime job in itself, replying to these emails. 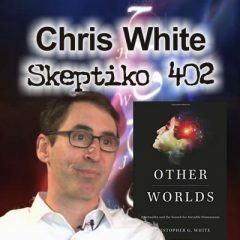 So, I think what we’re seeing, on a wider scale, is that we’re undergoing a big awakening, and I think there are people who are still in denial of the reality of these kinds of experiences, but I think there’s going to be far more people who are really going to be waking up to what these experiences are. 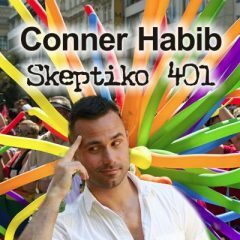 Alex Tsakiris: I really have a problem with that, but maybe not. I feel like there’s such a cultural overlay that we do on that. If you live in Tibet and you have a tradition on reincarnation for hundreds of years, is this whole thing even, kind of, meaningful to you? Or if you live in some country that’s torn by civil wore and you’re trying to survive, is any of this stuff meaningful to you? I hear this all the time, this consciousness revolution, and I get it, on one hand, I definitely see it in what I’ve done for the last ten years as well, but I’m skeptical too. We don’t even know our history, our history of being on this planet for 10,000 years or 6,000 years or 20,000 years, or a million years, or ten million years, we have no clue. So, how can we begin to even try and pinpoint this trend that’s happened in such a short period of time? Do you share any of those concerns, when we start overlaying these big picture patterns on what’s happening? Again, I’ve just got to throw in one more thing. “God really needs our help on this one, right? God really needs our help on this consciousness transformation, couldn’t do it on his own, he really had to pull us in and write these books on near-death experience.” Somehow that doesn’t wash for me. Penny Sartori: Do you think our consciousness could be evolving to the next level? These are just ideas that, kind of, make sense to me at the moment. I might do more research and think completely differently in a few years’ time. So, it’s just a way of making sense of the data at this point in time, and I think that can change so drastically according to what other discoveries we make as well. So, I have to keep as open a mind as possible and, kind of, explore all possibilities as well. I think, the thing to me, at the moment, that’s making sense is that, perhaps our consciousness is evolving to that next level and perhaps that’s why more and more people are beginning to have near-death experience and also spiritually transformative experiences. I don’t know. Alex Tsakiris: Fair enough. I love that answer. The book, let’s talk about one more story/chapter in the book before I let you go. I really liked the chapter that Krista wrote on Beyond Heaven, because it had so many of the aspects of what we’re talking about. One, I love the fact that she has this download of information, because I’ve heard that from so many different people that have had different experiences, not just near-death experiences, but psychedelic experiences, alien abduction experiences, which we won’t even talk about, but have to be talked about, have to be considered. I mean, John Mack from Harvard studied them, we can’t study them? But there’s a lot of people that talk about download of information, and what was fascinating to me about Krista’s download was, it’s about love, and so many spiritual people throughout time, and you can read their amazing stories from hundreds of years ago, or right up to the present, have had a similar download. It’s about love, which gets back to what this book is really all about and the positivity. So, do you want to talk about that chapter at all and about the download of information and about the integration? Penny Sartori: Yeah, and I think the really nice thing about Krista’s example as well, is the fact that yeah, she did have that kind of… she did split with her husband and have that divorce, but they remained the best of friends throughout it as well, and they’ve still got that link of love between them. Another interesting thing as well, is how she learned to, kind of, deal with that experience and to integrate it. Also, when I first met Krista, I watched one of her videos on YouTube, she had attended one of the IANDS conferences, and I was really blown away as to how she was able to adapt what she’d learned in her near-death experience, into her medical practice as well. So, I think it’s really great that she’s able to recognize other people have the experiences as well, because she can be of such great help and benefit. And again, she was trained in that very scientific mode, and then having that experience has opened her eyes and given her a different perspective on how she works as a physician’s assistant as well. So, I think her chapter is really, really great as well. Alex Tsakiris: Well, there’s so many great chapters in the book. You’re to be congratulated Dr. Sartori, it’s terrific. I really encourage people, like I say, I don’t even have to tell you to buy it, just go and take a look and everything will take care of itself after that. The Transformative Power of Near-Death Experiences. Anything else we need to let people know? I guess one thing that you, kind of, touched on, the proceeds are going to charity, is that true? Penny Sartori: Yes, that’s right. All of the royalties from the book will be given to the Love,care,share Foundation and that is a charity that was set up by Kelly Walsh, my co-author, and it’s all about supporting children’s projects on a global basis. So, it’s about really empowering young children, so that they grow up in a very supportive way and all sorts of projects all around the world. So, that’s what we’re hoping to do, is to, kind of, follow on from what we’ve learned from our experiences, and continue to put it to good use. Alex Tsakiris: Put it into action, right? Alex Tsakiris: Awesome. Thank you again so much for joining me today Penny. Penny Sartori: Thank you Alex. Alex Tsakiris: Best of luck with this book. Penny Sartori: Thank you, it’s been great. 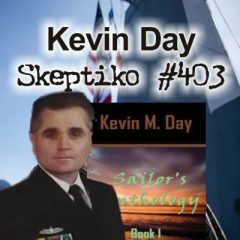 Alex Tsakiris: Thanks again to Dr. Sartori for joining me today on Skeptiko. One question I guess I tee up from this interview is, what do you make of the light and love stuff? Can we hold onto that as something that the near-death experience science is telling us? Is that a fundamental part of the near-death experience, or is it just another cultural overlay, another distraction that we drawn to because we want it to be that way? I think these are the, kind of, important, level two questions that we never get to, the level one question being, “Is near-death experience really happening, or is it just the dying brain?” I mean, how long with the materialistic, idiot, scientific, medical morons keep us spinning our wheels on that kind of question, one that’s really been answered conclusively, so we can get onto these more interesting questions? So, let’s jump ahead, let’s answer that question the best we can. 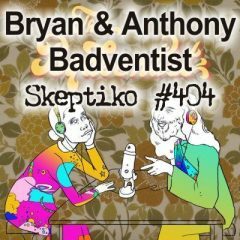 Let me know your thoughts, you can do it here, you can do it through the Skeptiko website, on the Skeptiko form. Any way you do it is fine with me, as long as you let me know what you think. That’s going to do it for this episode of Skeptiko. I have a number of, I think, good shows coming up. Please stay with me for all of that. Until next time, take care, and bye for now.